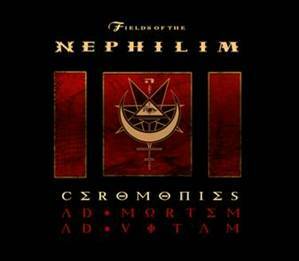 Iconic British band Fields Of The Nephilim have announced the imminent release of a new product for early 2010. It has been confirmed that this will be a multi-format offering which will include audio elements, DVDs featuring live performances from the Ceromonies events, documentary footage and exclusive packaging options for collectors. Though much of the footage and recordings were captured throughout 2008/9 the final products will be mainly focused on the London Shepherds Bush two-night special ‘Ad Mortem and Ad Vitem’ shows on July 12th & 13th 2008 respectively. The band have also confirmed that following the conclusion of the Ceromonies events they will turn their attentions to new material which is likely to follow shortly after the initial audio-visual release. The bands enigmatic frontman Carl McCoy said “ The production of the live material has consumed most of our time recently, though it is now in its final production stage so we can now look to the future and concentrate on our new studio material, At this stage I can’t tell you what this will evolve into but we are working towards something new being released in 2010”. 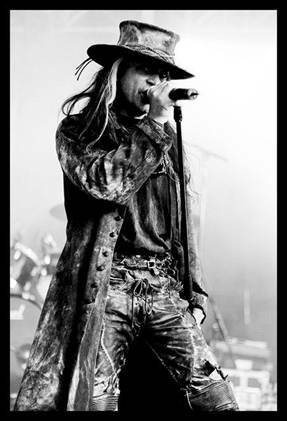 Furthermore and to coincide with the completion of the Ceromonies it has been announced the Fields Of The Nephilim will perform another special 2 night show at Club Progresja in Warsaw, Poland on January 22nd and 23rd. The Ceromonies series began in Warsaw back in March 2008.